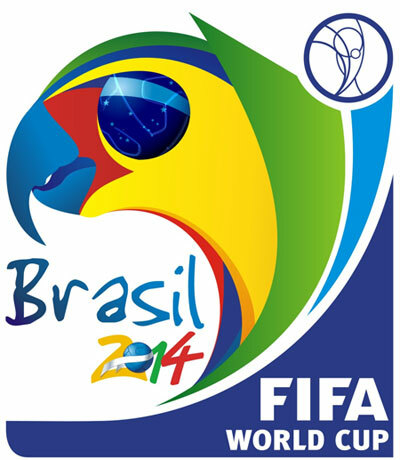 We’re continuing on this morning with the 2011 Major League Soccer previews. Wednesday we ranked the 18 club’s keepers, today we’ll move up a notch on the field to the defenses in front of them. Again these rankings are all about the starters and the depth behind them. I polled some folks on Twitter yesterday and got some pretty good feedback. Of course all of this is just objective on my part as well. I tried my best to remove any sort of bias from these rankings, which may upset some folks. I do plan on reviewing these rankings at the end of the season to see how off or on I was about each team. Now ranking different area’s of each club (keepers, defenders, midfielders, and forwards) isn’t always easy. You could easily group in the defensive midfielder to this batch or even lump in the keepers. Technically everyone plays defense on a team but for this purpose we’ll stick to the three to five guys in the back (and those who back them up on the bench) for these rankings. 1. Real Salt Lake – From top to bottom, I still view RSL as the best defense in the league. 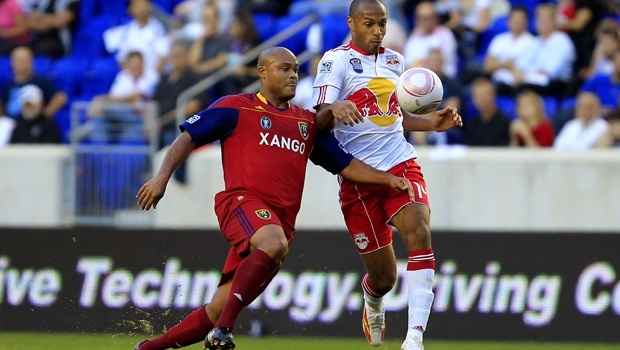 The biggest loss they suffered in the back this year however was the Robin Fraser bolting west to take over Chivas USA. Judging what we’ve seen out of this bunch already in preseason, there is little doubt in my mind that they will continue to be a dominant defensive side once again in 2011. Having two of the top defenders in Jamison Olave and Nat Borchers doesn’t hurt but I think we’ll see plenty of progression out of guys like Tony Beltran and second-year player Chris Schuler. 2. FC Dallas – They may have traded Health Pearce away and also have some injury concerns out of Ugo Ihemelu and George John, but they’re still very close to the top for me. Depth wise I actually believe because of their academy they’ll only get better in this area in 2011. You have to remember this bunch was very tough to get beat last year and I see no change in that for this coming season. 3. LA Galaxy – The Galaxy may have gotten a tad bit older when they got Frankie Hedjuk in the Re-Entry draft but that will be a very nice depth piece to have off the bench. I still believe Omar Gonzalez is one of the best defenders in the league. I look for some big things out of A.J. DeLaGarza this season too, as he showed late last year he has the ability to really improve things in the back when they are forced to play quick clubs. 4. New York Red Bulls – I nearly had the Red Bulls over LA, and in a way they are 3a and 3b for me because of the move to put Rafa Marquez in the back with Tim Ream. That pairing will be very fun to watch this season, that is unless you are going against them. I still have a couple concerns about their depth though which may be the biggest reason why they aren’t at 3 here. Still, this group could end up higher at season’s end and it wouldn’t shock me in at all. 5. Seattle Sounders FC – I think getting Jhon Kennedy Hurtado back for a full season is going to lift this bunch up in a big way. They made due without him last year as Patrick Ianni, Jeff Parke, James Riley and Leo Gonzalez all proved to be very good together in the back. Rookie Michael Tetteh could also be a big reason why this group makes some strides in 2011 as well. 6. Colorado Rapids – I feel like this is a major disrespect to the defending champions as this group really was a big reason why the Rapids did so well in 2010. Drew Moor, Marvell Wynne, and Anthony Wallace were all traded parts that came together in a brillant way late for Gary Smith. With the addition of Tyrone Marshall, I believe there is a good chance this group will make a strong push to defend their title. 7. San Jose Earthquakes – When healthy this group is very tough to beat. My only concern is them all staying healthy for an entire season though. Having said that, getting Ike Opara back will be a huge lift to this bunch. Jason Hernandez is an unsung hero in the back for them and Bobby Burling had possible his best season in MLS last year. 8. Chivas USA – In a way this ranking is largely based on their new coach Robin Fraser, the other reasoning is their additions this winter. Jimmy Conrad will be a huge boost in the middle while rookie Zerek Valentin will provide solid cover on the wings alongside Health Pearce. Their depth concerns me a bit but I have a feeling Fraser isn’t done putting his backline together here. This ranking may be a little high for now but I do believe they’ll surprise plenty of folks in 2011. 9. New England Revolution – This is another that may surprise a few folks but their young nucleus will keep them in plenty of games this season. Darrius Barnes, Kevin Alston, and rookie A.J. Soares make a really nice group in the back for Steve Nicols. Yes they did give up a load of goals in 2010 and they’ll be pressured again in 2011 due to their lack of offense at the moment but this young group has enough talent to overcome it. 10. Columbus Crew – I may be a little generous to the Crew according to some folks but remove yourself from the RSL beating from the other day and look at this squad again. They still have Chad Marshall in the back and I believe Andy Iro will become one of the better centerbacks this season. Second year defender Shaun Francis showed solid strides in this rookie season that I think will carry over in 2011 and who knows we may even see first round draft pick Rich Balchan prove he was worthy of his early selection. 11. Houston Dynamo – Dominic Kinnear has done a lot of work to his entire club this winter, especially in the back. This group gave up a lot of goals last year but injuries were a big factor. This group is mostly healthy now and are starting to come together nicely in preseason play. I’m very curious to see how rookie Kofi Sardokie plays for them alongside Bobby Boswell, Mike Chabala and Andrew Hainault. 12. D.C. United – The Black-and-Red have made some serious strides this winter but still have plenty of work to do. The additions of Perry Kitchen and Ethan White are nice even though they are both rookies. Could this ranking be a bit high to start out? Possibly but I think this could be a club that surprises many in 2011. 13. Sporting Kansas City – KC still has some work to do on their defense I believe. They were middle of the pack last year in terms of goals against but when everyone was on their game together they were pretty good. Losing Jimmy Conrad was a set back but one that was bound to happen. I don’t think they’ve done enough to replace him though as Michael Harrington, Roger Espinoza, Chance Myers, and Shavar Thomas are all quality players but none that will make a MLS All-Star roster just yet. One or two more moves in the back could help push them in an Eastern Conference that is bound to be fairly open this season. 14. Chicago Fire – Boy this is a bunch that regressed a lot in 2010. I’m starting them off pretty low for 2011 but I do think they could make some strides up the rankings by the end of the year. Rookie Jahil Anibaba should be the reason for that as well as newcomer Cory Gibbs. Losing C.J. Brown and Wilman Conde was a lot though, and possibly more than they can make up in just one season. 15. Philadelphia Union – Honestly this felt a little high but I’m giving them their due because of what is below them. Sheanon Williams is a guy I think they could lean heavily on this season. They still have a ways to go though as they only have five defenders signed right now on their roster. That won’t get it done these days in MLS. 16. Vancouver Whitecaps FC – Part of me felt this could be much higher consider the talent they brought in from their D-2 side that was absolutely dominant defensively last year. But that was a different league against talent that isn’t quite MLS-standard. So we don’t exactly know how well this group will stack up against better offenses like LA, Colorado, New York and RSL just yet. I do think captain Jay DeMerit was a solid signing to kick things off for them though. I am very curious to see what Alan Rochat can do for this club in MLS. 17. Portland Timbers – Collectively they do have a decent looking bunch of defenders. My biggest concern though is that they don’t have a big time leader just yet in the back. Maybe Kerrea Gilbert will be that guy for them as the rest of the defenders there are still fairly young. I do think Eric Brunner and David Horst will fit in very nicely in Portland and this group could easily be higher by the end of the season. 18. Toronto FC – Have you looked at their roster lately? Its kind of sad really. I know they have more players in camp but the uncertainty of the type of players this new management will bring in on their first year is still a red flag for me. Not having Adrian Cann on the team hurts in a big way as he was easily their best defender in 2010. Aron Winter could surprise us with his defense this season but I do believe they have a long way to go. By the end of the year, I think you’ll realize you ranked the Fire too low. Jalil Anibaba is the sole reason I believe this. He’s a stud, and he makes his whole team, not just his defense better. Oh I know he is a stud and will make the defense better but there isn’t all that much around them or behind them depth wise. He’s going to have a lot of pressure on him as a rookie. He’ll handle it well but those around him may still be the blame for their weak D.
Plus you’ll have a rookie defender helping out a sophomore GK. Sure they are both good, but when your best defenders have a total of 1 year of pro experience between them that doesn’t bode well. S-H-E-A-N-O-N Williams … not Sheldon. Just saying. He made RB his after coming in from the City Islanders, so I definitely see him keeping it as long as he stays injury-free. The shady goings-on with the loss of Michael Orozco Fiscal, as well as waiving Cristian Arrieta, could prove costly. Sounders will leak goals all season, no way a top ten defense.